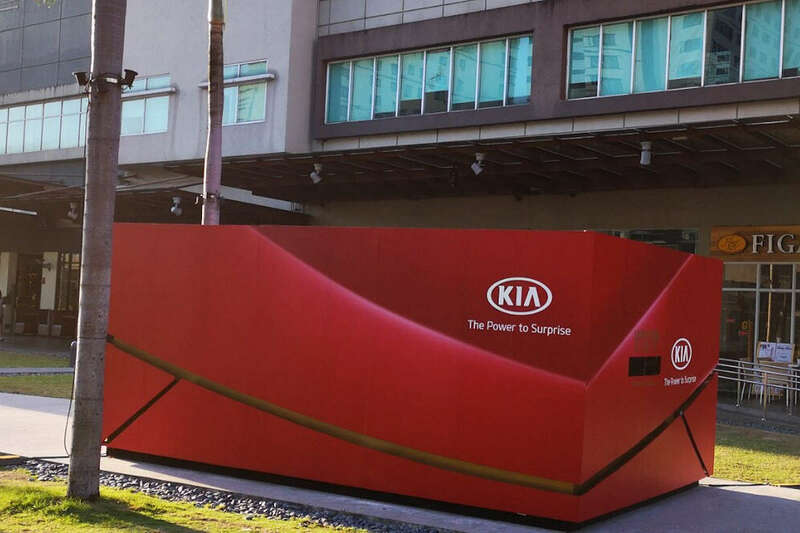 Anticipation is high with Kia’s re-launch under Ayala-owned AC Industrials. Previously, Kia Philippines President Mr. Manny Aligada said that 3 “never before seen” vehicles will be showcased during the brand’s re-launch at the end of this month. To whet the public’s appetite even further, the brand started to shift its PR efforts into high gear. Case in point is this very interesting art installation located in the Bonifacio Global City area. Inside the red container is one of the three vehicles that Kia Philippines will “unbox” on January 30, 2019. If you want to see it for yourself, it’s on display starting today at the Bonifacio Global City area near Figaro. Personally, we think Kia Philippines will be previewing the Stonic sub-compact SUV, Stinger sports sedan, and a yet-to-be-revealed vehicle. Also, if there is any meaning behind the hashtag “#AllKindsofWow,” it could be the refreshed Sportage too. In any case, let the speculation begin.